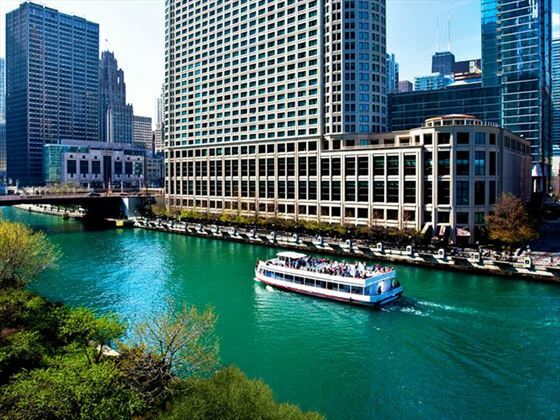 A stylish hotel located in the heart of the city, the Sheraton Grand Chicago is a comfortable and welcoming property with amazing views of the city and Chicago River. Ideal for sightseeing city breaks, you’ll be within easy reach of the top attractions of this amazing destination, including shopping on Magnificent Mile and the beautiful Millennium Park. The Sheraton Grand Chicago is situated in the heart of the city, overlooking the Chicago River and within easy reach of the nightlife, dining and top attractions of the city. The hotel features 1214 rooms, including 48 suites.